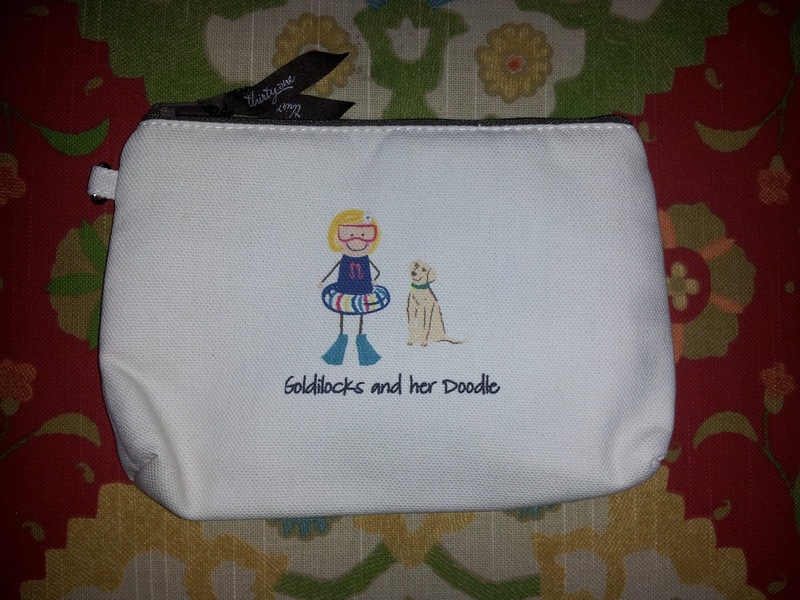 Goldilocks & Her Doodle: Milton's Latest Accessory! Well, at this party, I shared in brunch, played games, and learned all about these bags. When the time came to fully commit and order, I was still uncertain whether or not I was really in need of a new tote. Then I happened upon a cute little cosmetic bag that could be embroidered as well. Although I already have a vacation pouch, I figured that Milton could use a little overnight case to go in his travel backpack. I was actually quite pleased with how my little design turned out. It's Momma, decked out in her swimming gear, and Milton! If you have a hankering to purchase one of these for your dog (or you! ), check out Thirty-One's website: http://www.thirtyonegifts.com/ This bag was actually a steal at only $12 plus shipping. I think Milton the Goldendoodle just got a bit more stylish. Happy, Happy Friday to all of you! .......I have an entire shelving unit dedicated to nothing but Thirty-One totes, bags, pouches and such. So many that I've considered starting a support group: "Hi, my name is Marnie and I'm a Thirty-One addict." LOVE the design on the pouch and guess what I DON'T have! Yup, a zipper pouch with Stanlee on the side.